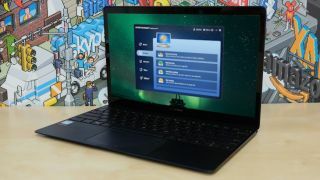 To mark World Backup Day, which takes place on March 31, AOMEI is giving TechRadar readers the opportunity to download its premium software AOMEI Backupper Professional completely free. You must register your software between March 25 and April 1 to take advantage of this special offer, so act quickly. Download AOMEI Backupper Pro and extract the ZIP archive. Open the readme file and copy the license key. Run the software installer, and click 'Enjoy now' when it's finished. Click 'Menu', then select 'Register' and paste in your license key. Click 'Register' again to finish the process. With AOMEI Backupper Professional, you can back up anything on your PC – the entire system, a partition, or specific files or folders. You can also clone a whole drive, including your operating system, making it easy to transfer everything to a new hard drive. Restoring your backed up data is simple too, whether you want everything or just certain files. Everything is explained with clear step-by-step instructions. AOMEI Backupper Professional also offers tools for checking the integrity of a backup image, creating bootable rescue media (such as a DVD or USB drive), merging multiple incremental backups, and mounting an image to a virtual partition for browsing. World Backup Day serves as a reminder of the importance of making regular backups. It doesn't take much for your important files to be lost, and once they're gone they can be impossible to restore. You never know when disaster might strike. We store a huge amount of our professional and personal lives digitally, and a regular backup plan is the only way to make sure they're properly protected.